529 Savings Plans: 101 — D.R.E.A.M. Given the shift in the economics of higher education it’s time that we change the conversation on financing education. Previous generations focused on financial aid and debt to fund their educations with the idea that the degrees would “pay for itself” over time in regards to higher earnings and better employment opportunities. This train of thought is no longer a fool proof method or guaranteed. So the conversation needs to shift to adequately saving for college expenses so that the next generation can afford the college of their dreams without breaking the bank. How Can I Save for College? A 529 Pre-paid tuition plan allows you to lock in tomorrow’s tuition at today’s rate. Pretty nice, huh? If you purchase a year of college at today’s rate, you can use the proceeds to pay for a year of college twenty years from now, even if the price has increased drastically. You can invest in a 529 Plan in any state and can also own 529 Plans in multiple states. Most state plans offer tax incentives for residents that open plans within their home state. As of 2012, there was over $180 billion saved in 529 plans and the average account had $17,000. Although $17,000 is far below what is needed for college expenses, every dollar helps! Start by researching the 529 Plan in your home state or state of permanent residence. Review what the plan has to offer and what the investment options are, account minimums, fees, and qualified educational expenses requirements. Fees are very important. Look for plans that offer fees less than 1%. However, be mindful of the tax incentives and advantages of investing in a 529 Plan in your state. I recommend a targeted, age based strategy that becomes more conservative closer to the time that the funds will be needed. (Very similar to saving for retirement) The younger the beneficiary of the 529 Plan the more risky the portfolio should be. For a newborn or child on the way, I recommend starting with allocation of 90% stocks and 10% bonds. As the beneficiary of the account gets older the fixed income allocation should increase. As the beneficiary readies for college the portfolio should then include stocks, bonds, and a money market fund (cash). This allows you to protect the earnings you have acquired after all the years of diligent investing. By age 17, I recommend the allocation resemble 90% money market fund, 7% fixed income, and 3% stocks. However, do note there is a limit to the number of investment changes you can make within your 529 Plan on annual basis. Exceeding this amount often results in a penalty. Companies are beginning to offer matches for their employees 529 Savings Plans similar to matching they currently offer for 401k plans. Inquire within your Human Resources or Benefits departments to see if your employer offers such an incentive! Another option – 13 states currently offer 529 Savings matching grants. The grants are usually state specific and you must permanently reside in the state that offers it. The grants must be applied for and there are income guidelines. Some states offer a $1 for $1 for match while other states just offer lump sums or percentages of what you have saved. 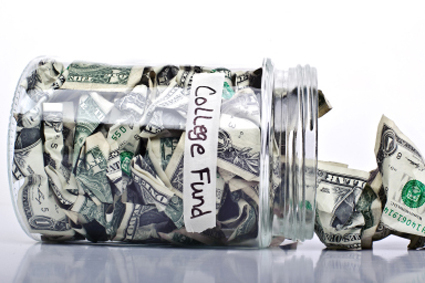 Get on the right path for college saving today. For more detailed information on 529 Plans check out this great article which provides a thorough overview of the ins and outs. About the Author: Femi Faoye is the Co-Founder and Chief Executive Officer of D.R.E.A.M. He's also the Founder of Millennial Capital Management, an investment management firm based in New York City. He’s a staunch and passionate financial literacy education advocate.